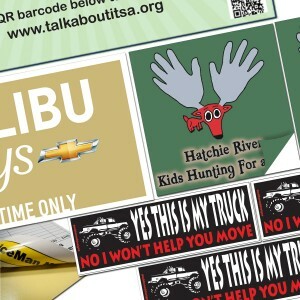 Car Window Clings - "Best Promotional Solution for your Product"
RegaloPrint is the leading custom window cling printer that has been serving North American market for the past many years. 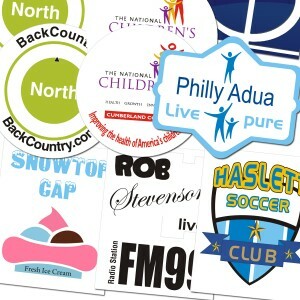 We offer affordable yet high quality full color vinyl clings in completely customized shape and design. If you aspire to obtain durable, high quality, inexpensive but long lasting colorful customized items, RegaloPrint is indeed the best place for you to order custom printed clings. Mostly clings are recommended for the indoor use and can be placed inside of your store or shop which are viewed from the outside and there is another special form of static clings which is known as double sided static cling,so the specialty it contains is that it can be viewed both from inside and outside of the window. The beauty of our printing processes is that it is custom driven, customer focused and very easy to proceed. You just need to place your specifications for car window slings with our customer support staff, who will guide you further. This means that the size, color and design of the static cling signs should be pre-decided by the customer. Moreover, the printing material is another important consideration that has to be fundamentally decided by the customer. Vinyl clings are regarded as more reliable as compared to the paper one because of the specialties of vinyl as printing material. To get the product of your choice, all you need is to come up with your version of specifications and requirement that best match your objectives. In order to print cling vinyl of your choice, you need to analyze your needs, requirements and objectives of the business. Additionally, the shape and type of the product should also be decided as window clings are used for different objectives. Similarly, if you need a custom window cling for your store; your product size, shape and design will be different. Contrary to this, to get car window clings, your order will have different set of specifications. You can contact our support team via live chat, email and direct telephone call to obtain our printing services. Our CSRs will not only answer your queries but also guide you to how to make fabulous designs for your static cling window decorations schemes. Get your clings Laminated for long usage and weather resistance! Remember, clear specifications will yield very positive results for your orders. So, make clear selection of every aspect of your vinyl window clings and decals for quality results and if you need any help in this regard, you can always consult us. Last but not the least, you get bundle of FREE value added services at RegaloPrint. To make your cling and sticker printing process easier and reliable; we offer you FREE designing, lamination (glossy/matte) aqueous coating, proof reading and shipment to your home. We also entertain short-notice orders as well and can deliver your work in a record time without any compromise on quality.